Jermaine Miller is a former inmate who has been fighting for his right to vote for the past two years. “I mean everybody paid. If you go into a jail or prison and you paid your debt to society. You should have your right to get your debt back. You know, get your rights back. Not in five years, three years, but two years or a year maybe,” Miller says. Miller spoke to WFSU back in October. He’s part of the citizen led ballot initiative aiming to get a million signatures in favor of felons regaining their voting rights automatically. So far, Florida’s Division of Election website shows the movement has 750,723 signatures. 16,000 away from reaching the ballots. Meanwhile, a new avenue for restoring felon rights is emerging, as two proposals are moving in the Constitution Revision Commission. The panel that meets every 20 years to revise the state constitution and put political changes before voters. Proposals 7 and 21 aim to reinstate the right to vote and hold office for felons who have served their sentence and completed parole. And while both have the same goal in mind, they differ in strategy as Democratic Senator Darryl Rouson (D-St. Petersburg) explains. “Well I believe in the ultimate redemption of individuals who have paid their debt, done their time. But we also live in community, in society, where people may not feel the same redemption that I feel,” Rouson says. He was speaking about proposal 21, which he sponsors. 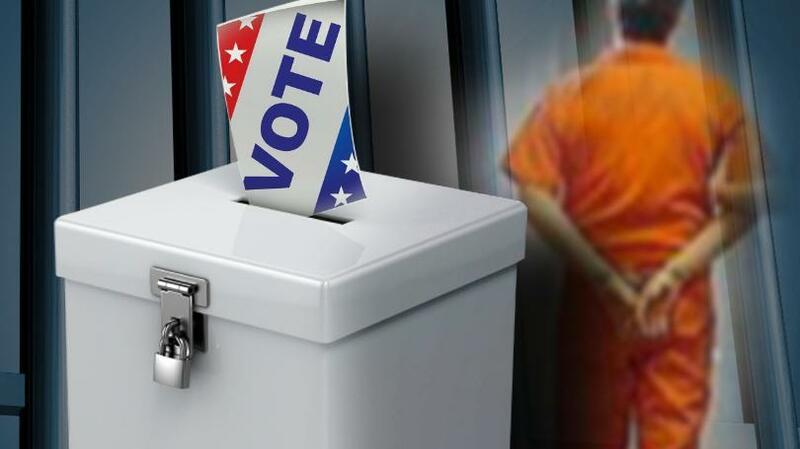 The proposal gives certain felons the right to vote and hold office. Persons convicted of felonies involving the use or threat of physical force or violence against any individual are disqualified. This opens the door for felons convicted of nonviolent crimes, which Rouson says is nearly 75 percent of the 1.5 million disenfranchised voters. Proposal 7, sponsored by former Senate Democratic Leaders Arthenia Joyner and Chris Smith, mirrors more of the language used in the petition. It allows felons the right to vote and hold office once they have served their sentence no matter their crime. And while both proposals and the citizen initiative are competing for votes in the 2018 election, Rouson believes the competition is good. He says it directs more eyes to the issue at hand. “Locking people up, punishing them for life with the scarlet F, is more of a cost to society and community then it is a benefit. It’s more of a cost then it is a deterrent. And I think that the wave of reform has been cranked up, and we’re moving down the highway with a date towards freedom,” Rouson says. Both proposals need to pass one more Constitution Revision Committee before heading to the full 37 member CRC. Florida’s campaign to restore voting rights to felons is gathering national media attention, and national financing. Now activists are trying to focus that energy to get the proposed constitutional amendment on the 2018 ballot. WFSU reports on the grassroots campaign to gather 1 million signatures before the end of the year. 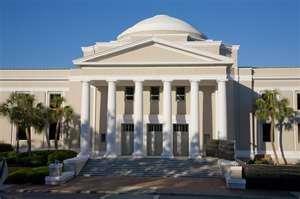 The Florida Supreme Court has approved language for a voting restoration ballot initiative. 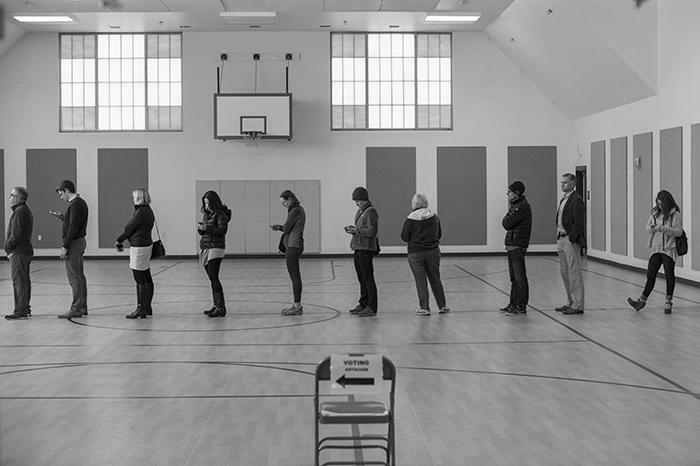 It could give felons back the right to vote after completing their sentences. An attempt to restore felons’ voting rights in Florida is getting a national boost this week. Comedian Samantha Bee of the TBS show Full Frontal sat down with Desmond Meade of the Florida Rights Restoration Coalition. Meade is behind a proposed ballot initiative that would automatically restore civil rights to felons. Here’s a portion of Bee’s segment.